You were the best, Bernie! We miss you! 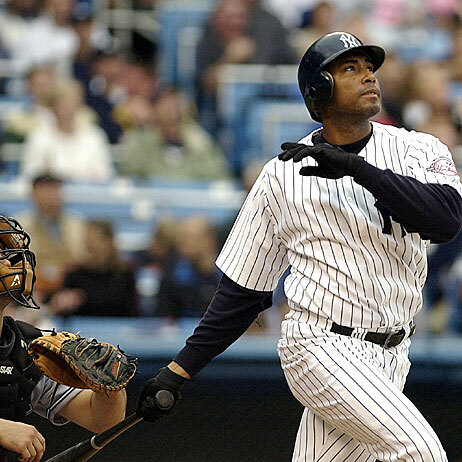 Bernie Williams' 10th career grand slam has put him fourth on the Yankee's all-time grand slam list. Well, will you listen to the Red Sox? 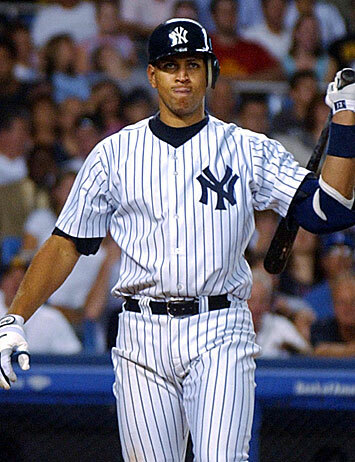 One win in 80-some years and suddenly they're experts on A-Rod and the Yankees! 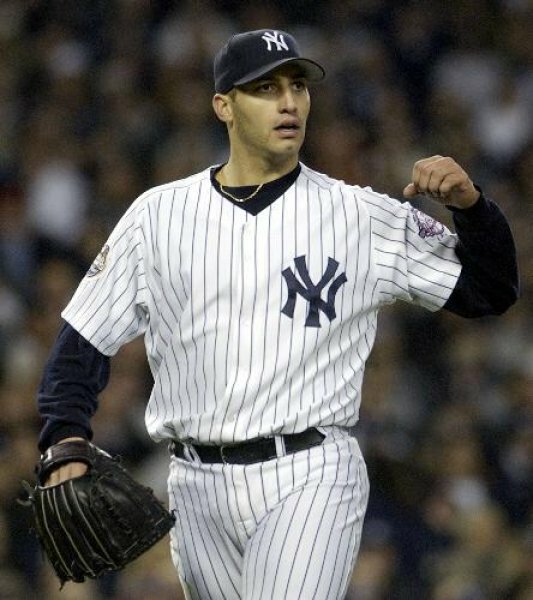 Well, we have Randy Johnson now, so look for the Yankees to win back their title! Now, with that out of the way, I'd like to discuss this steroid issue and Barry Bonds. First of all, I could care less if he is on steroids. If he is, his muscles will sag in about 10 years, he'll lose bone mass, and well...you get the picture. As far as this record-breaking business goes, the only thing I'll say in Bonds' defense is that there is a big deal being made of the use of steroids now that he's closing in on Babe Ruth's record. MLB knew about the use of steroids way before this grand jury mess. Mark McGuire? How could they not have known? 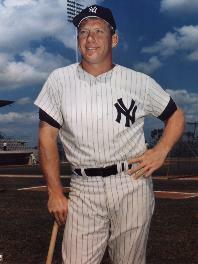 And he broke Roger Maris' single season home run record. So why all the hub-bub all of a season? 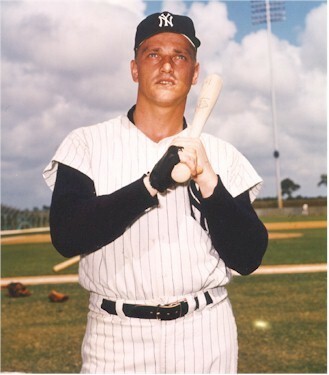 And speaking of Roger Maris, if Bonds is allowed to hold the record as 2nd career homerun hitter while using steroids, then when will Roger Maris and Pete Rose be in the Hall of Fame? We all know, if we believe what we see in the movies, that Roger didn't like the press. Who does, really? But that's why he'll not get into the treasured Baseball Hall of Fame. Pete Rose...well gambling is an addiction, just like alcoholism and drug abuse, but that didn't stop them from putting Eckersly(spelling?) into the Hall of Fame. And I don't like that baseball is making an example of Darryl Strawberry. His addictions are part of his illness, but it doesn't take away from the baseball career he had. Let up on him, already! Enough's enough! Bud Selig and MLB do what they think will boost stadium attendance and audience participation. They don't care about anything else! 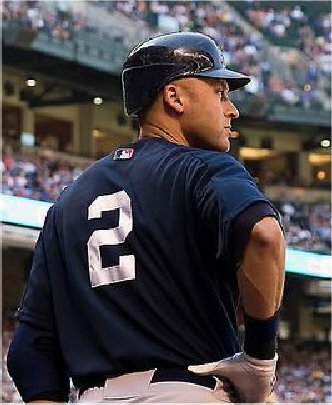 I think the steroidal issue hurts players like Derek Jeter. No one plays the game like that guy. Honestly, cleanly, purely because he loves it! Congratulations to the Boston Red Sox, Baseball's World Series Champions of 2004! I still love the Yankees, but they know what they've done, and I don't feel as bad as I thought I would. However, I don't want to discuss this post-season with anyone, especially my daughter who now lives in Boston. Maybe I'll be able to talk about it next season. 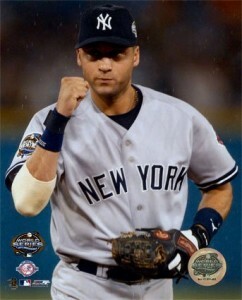 :) New York Yankees, better luck next year! I'm just glad that I don't have to hear anymore of those Bud ads like, "Baseball fans, grab a cold one. It's gametime!" Aren't there baseball fans under the legal drinking age? How irresponsible was that? I will have to make revisions to this page, including the comments about the Red Sox. But I can't do it right now. So, if anyone reads anything hear that is incorrect as of the end of the 2004 baseball season, I apologize, and I will get to the changes as soon as I can. 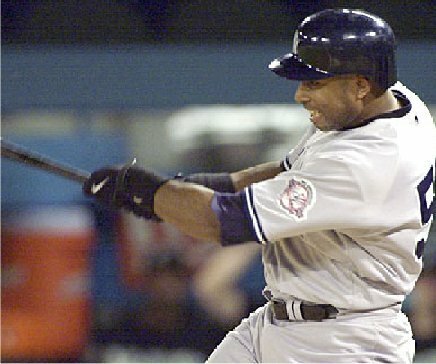 And with all this steroid business, how come Giambi's name is mentioned so often, yet the name "Barry Bonds' doesn't come up. Is it because most people hate the Yankees? Hmm...you decide! The New York Yankees! Either you love them or you hate them. It has been that way since the beginning. Those of us who love them can only guess that those who hate them (aka Red Sox Fans) do so because the Yankees are so good at what they do. Approved as a member of the American League. 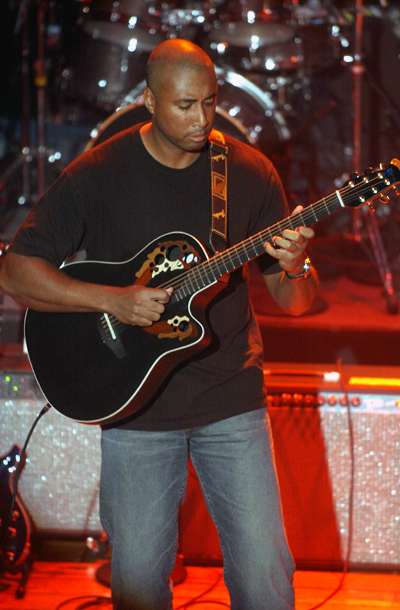 Played in an all-wood park at 168th Street and Broadway. Became known as the "Highlanders" and their home field was named "Hilltop Park" because the site is one of the highest spots in Manhattan. The Pinstripes first appear on Highlanders' uniforms. It became the most famous uniform design in sports. 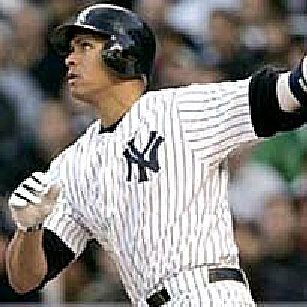 The Yankees get Babe Ruth from the Boston Red Sox for $125,000 and a $350,000 loan against the mortgage on Fenway Park. Do you believe there is a Babe Ruth 'curse'? Do you believe the Boston Red Sox can ever reverse the curse? 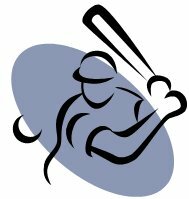 Visit the Baseball Historian and read what they say about the curse. Construction begins on Yankee Stadium. Yankee Stadium opens. Yankees beat the Boston Red Sox 4-1. Babe Ruth hits Yankee Stadium's first home run. There is a website, however, that does keep track of all the statistics you will ever need to keep up with the team of the 20th century. And with a little luck, the team of the 21st century as well. You can find out about the team, the individual players, and some of the all time greatest players. 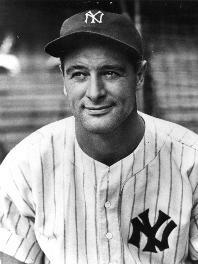 Born: June 19, 1903 in New York City. Height 5' 11", Weight 198 lb. 2- Bob Sheppard, the Pontiff of the P.A. Enjoying Baseball's Postseason? Are you a displaced NY Yankees fan? Do you have to suffer listening to local sportscasters? I do! A compilation of trivia, stats, photos and news.